A new season in the Hanover Tache Junior Hockey League (HTJHL) is underway with four of the six teams playing on opening night. Defending champion Grunthal Jr. Red Wings scored 11 goals enroute to a 11-9 victory while Springfield Xtreme squeaked past Lorette Comets 2-1. Four-time champion Grunthal took just 2:41 to score first in the new season, as Russ Unrau netted the opening goal. It was soon followed by a barrage of goals this night as teammate Bailey Fehr made it 2-0 just over a minute later. The Mitchell Hawks would battle back and scored a pair of their own by Zach Enns and Cris Dominguez tied the game just 8 minutes in. The teams were not done scoring a combined five more in the opening frame as Grunthal took a 5-4 lead into first intermission. Fehr, a product of Eastman Selects AAA, scored three more goals in the second period, but the Hawks continued to fight to stay in the game. Walker Enns, Nathaniel Woerlen and Jordan Stoesz found the back of the net before the period ended with Mitchell trailing 9-7. Mitchell would get and early third period goal from Jason Andres followed by Woerlen at 11:11 to tie the game at 9-9. A team that went 2-19-0-1 last season, scoring just 66 goals in those 22 games, was now level with the champions! The win would not come tonight though as Eric Froese scored the game-winner at 13:15. Fehr would add his sixth goal of the game in the final minute to secure the Red Wings victory. Springfield and Lorette played a defensive game in their opener as both veteran goaltenders had a strong season debut. The visiting Comets would score first at 9:42 when Cody Noble scored unassisted. The score remained 1-0 until a powerplay goal by Colin Ross at 6:08 of the second tied it. At 16:48 Curtis Metzler scored another for Springfield, which turned out to be the game winning goal. Both teams had opportunities as the two combined for 92 shots on net. 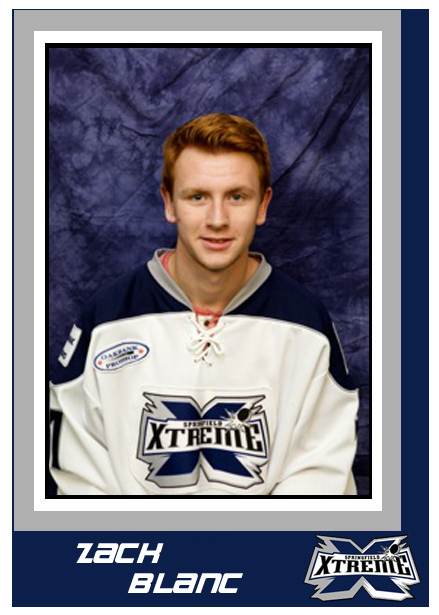 Goalie Zach Blank stopped 40 shots for the winning Xtreme while Travis Bonnefoy made 52 saves in a losing effort. Week 2 in the HTJHL will feature five of six teams in action, with Red River and Steinbach making their season debut. Grunthal is idle.